With WWDC quickly approaching, the rumor mills are heating up with what we should expect at Apple’s annual conference known for big announcements. We’ve learned a little bit more that speaks to what to expect — including a couple of big, widely-requested things. First of all, a lot of sites seem to be working themselves into a tizzy about the so-called “iPhone 4S”. While it has already been widely reported that there will not be any major hardware announcements at WWDC this year, people seem to be letting their imaginations get the best of them anyway. This site, for example, notes that Apple is pushing for British journalists to fly out for WWDC. And today, there’s a report about Australian journalists getting the same message. Both conclude this must be for the “iPhone 4S”. A source tells us that Apple’s UK iPhone PR team is approaching journalists from major publications to fly out to the event in San Francisco next month. The obvious conclusion would be that Apple is announcing a new iPhone. Or rather, an updated model. 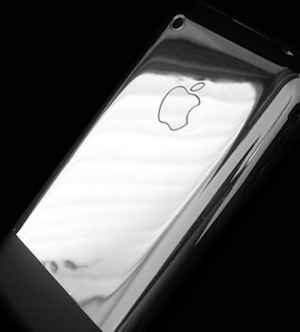 The iPhone 4S is slated as a stop-gap before the appearance of a true, ‘&%! *, they’ve done it again!’ game-changer next year. In no way is that an obvious conclusion. I’m not disputing the fact that Apple’s iPhone PR team wants people at this event. But guess what else that PR team is in charge of? iOS. Apple is Apple — they may always have a “one more thing” up their sleeve. And at least one of our sources still thinks that Apple will surprise with some new iPhone hardware. But right now, we’re not buying it. All other (solid) indications are that there will still be no hardware announcements at WWDC. None. And the extension of invitations to journalists in no way indicates anything different. Instead, we’re hearing that Apple is pushing for journalists to come to WWDC because the software announcements will be huge (and they likely know that journalists hearing there will be no iPhone 5 announcement may choose to stay home instead this year). And the changes will be vital for all developers in the Apple ecosystem(s) to know about. And remember, this isn’t just about iOS 5. This is about Apple’s entire software backbone. iOS and OS X are both about to receive massive upgrades at the same time. And both will likely be extensively previewed at WWDC. Add to this Apple’s cloud announcements (which may or may not include the “iCloud” music stuff) and you suddenly have a WWDC that looks anything but boring, new iPhone or not. The second bit of information we have heard is about iOS 5 itself. First of all, while we’ve been leading the reports of Nuance technology being fully baked into iOS 5, one place we’ve heard it won’t be used (at least not yet) is Voice Control. That’s odd since it’s perhaps the most obvious usage. But apparently, in the builds of iOS 5 currently being tested, the little-used feature hasn’t changed at all, we hear. That could obviously change before the release (which is still likely months away, even though it will be previewed at WWDC), but apparently the Nuance technology is meant for bigger things more core to the OS than that one feature. Expect a lot more in a couple weeks. Obviously, we’ll be there live covering the event.